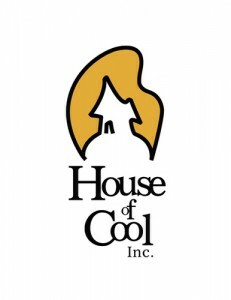 House of Cool, an outstanding full service animation studio that specializes in pre-production for feature film and television is seeking a talented, creative Animation Director to join our team in the coming months. Flexing your creative and managerial skills working in collaboration with a senior creative team to help produce a visually engaging, high-end animated tv-series. Defines the creative style of the project’s animation. Defines and implements techniques and processes that help realize and enhance the performance of characters. Ensures that the animation team is motivated to achieve the highest standards possible within the parameters of the production plan. Oversees Character consistency throughout series, ensuring that key character and story moments are supported through performance. Evaluates and casts animators to characters/sequences/shots that best suit their skill sets. Collaborates with creative and technical team to ensure animation feasibility within the confines of schedule and budget. Collaborates with Producer on managing team performance while facilitating optimal production flow, ensuring deliveries are of highest quality and on time. Provides vision, feedback, motivation and support to the team. Interprets, implements and facilitates notes and feedback from clients in a timely manner. Knowledge of creative software platforms. This entry was posted on Wednesday, July 23rd, 2014 at 9:41 am	and is filed under Jobs. You can follow any responses to this entry through the RSS 2.0 feed.